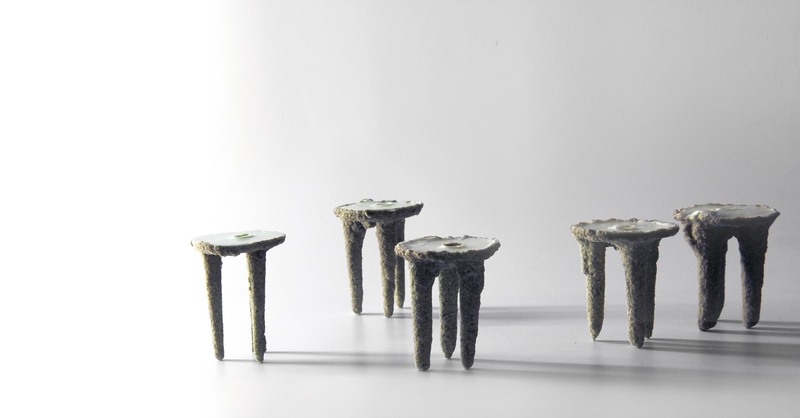 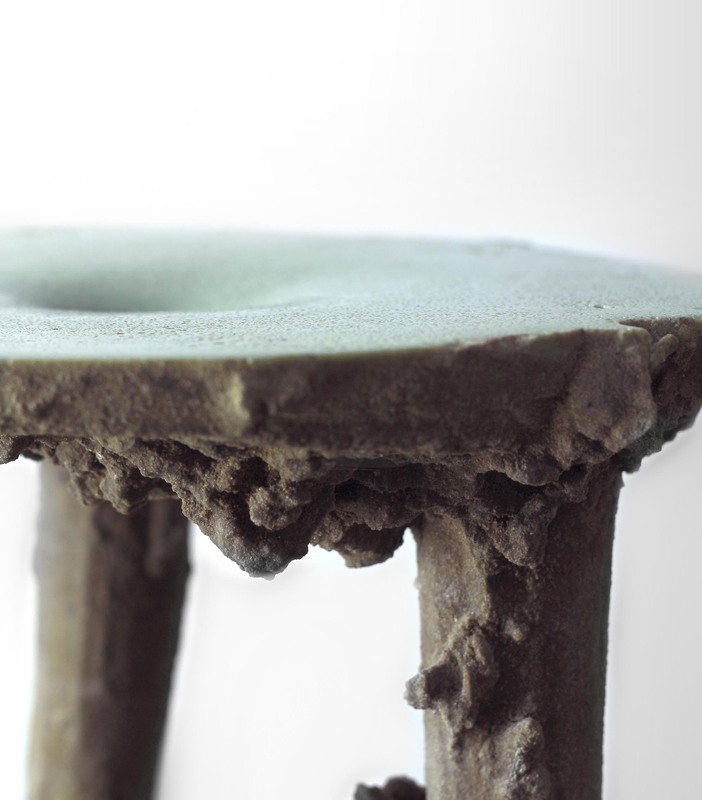 Roots are based on the notion of growth, the first stool is the mold of the next one and so one allowing the product to evolve within the series, developing its own shape based on the sand it has been poured in. 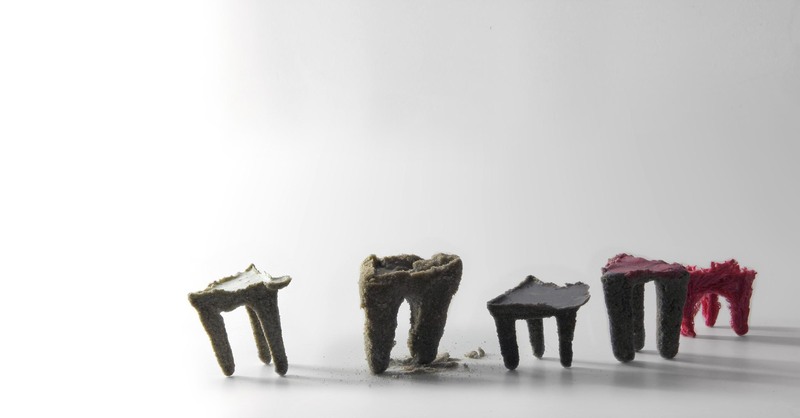 The whole details of the product and its evolution is then based on the natural notion of entropy, offering to every pieces its unicity and creating a continuity in the collection. 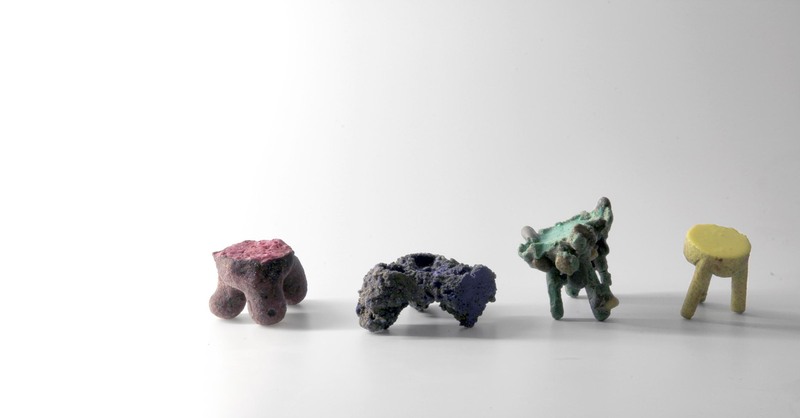 This system allows the details to increase and to become shapes. 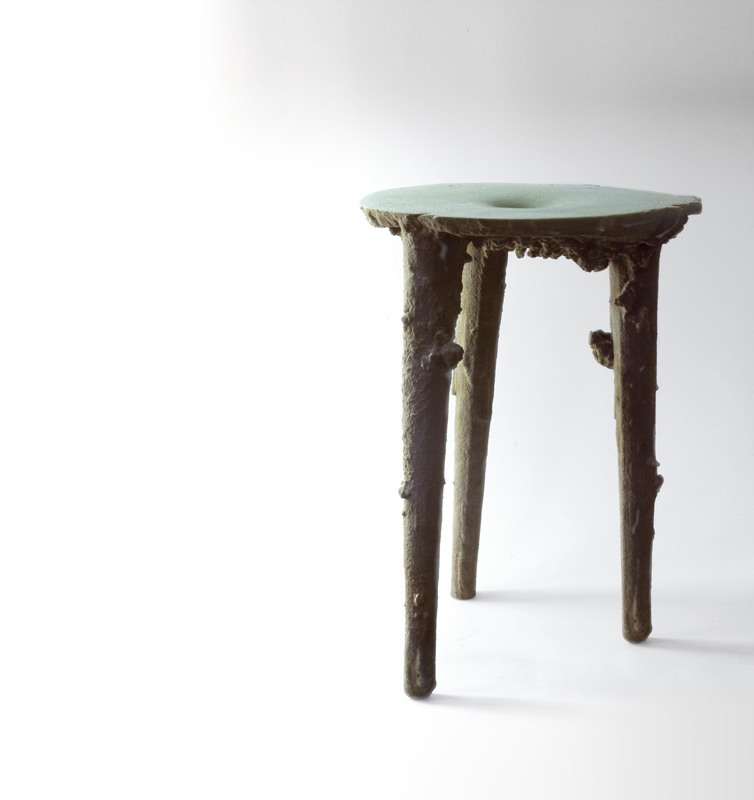 As if the stool itself was growing in the earth.